Spotlight Youth Theatre Group is a fun, and enjoyable theatre group for children aged 8-18. The group teaches children how to develop their acting, singing and dancing, through carefully structured rehearsals and performances. We rehearse every Wednesday at 4.30pm until 7.00pm at the Taylor Rooms, Kirby Cross, with additional tune-up rehearsals on Monday from 4.30 to 6.00pm and put on two shows per year at the prestigious Princes Theatre. The group is volunteer operated and overseen by Clare who is the Group Director and has experience in dancing and performing, Viv and Jess who are our show performance directors, and Lydia who produces our dance performances. Each of them help with all aspects of group and show production, and together they all bring experience and creativity to bring out the very best from our students. In the background, Warren, who has television experience in production and script writing delivers the scripts, and also manages the technical side of things, along with our marketing materials, scenery and website. Spotlight produce original, funny scripts, perfect for the stage, but also perform some classics too with a traditional pantomime the pinnacle of our year around Christmas time. The children too also play an important part in how our productions are structured, and we give them the freedom to let us know how much or how little they want to perform in the shows, ensuring they are always comfortable and confident whilst on stage and during show rehearsals. After each show children are presented with a keepsake trophy and certificate at our awards ceremony, with individual awards also given for individual or group excellence. We rehearse every Wednesday and perform two shows a year. The ultimate goal of Spotlight is to help children develop all forms of performing arts whilst retaining an element of fun. 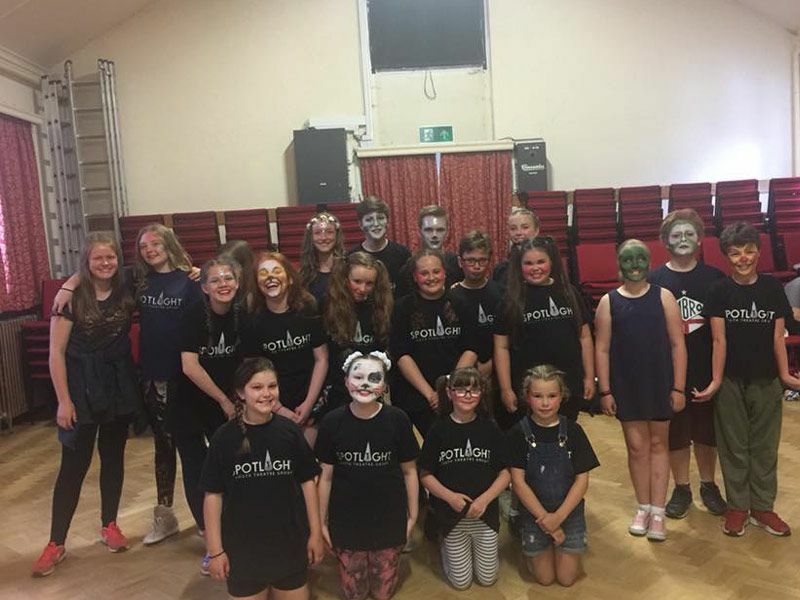 Spotlight Youth Theatre Group rehearse at the Taylor Rooms, Station Road, Kirby Cross and perform twice a year at the prestigious Princes Theatre. The group rehearse every Wednesday at 4.30pm until 7pm, you’re more than welcome to stop by and support the group.